No Summer was a band I played drums in with my good friend Spencer. While we didn't play many shows, or even get to practice as much as we would have liked, the time we spend playing and the music that came as a result was carefully crafted and some of the most fun I've had as a drummer. 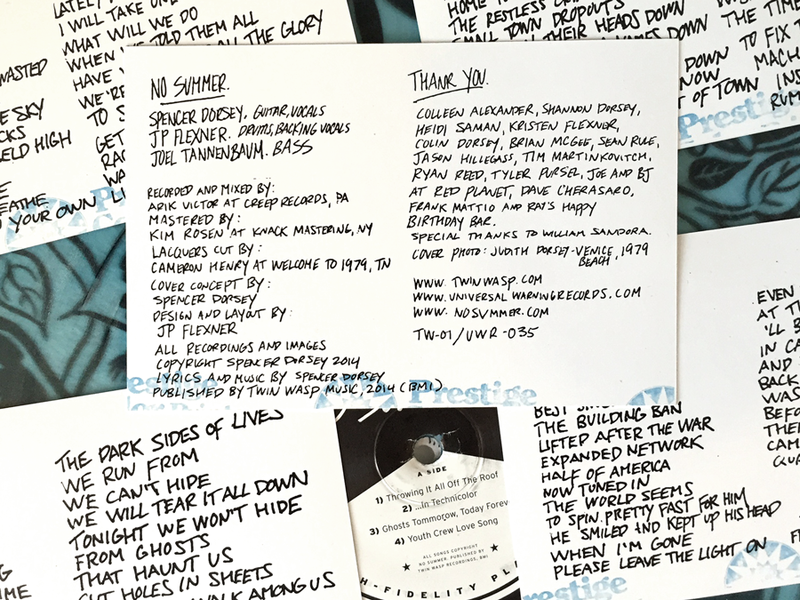 When it came time to release our little 4 song EP, Spencer and I thought long and hard about the way we would package it. To start, we decided to press the 4 songs onto a single side of a 12 inch record. 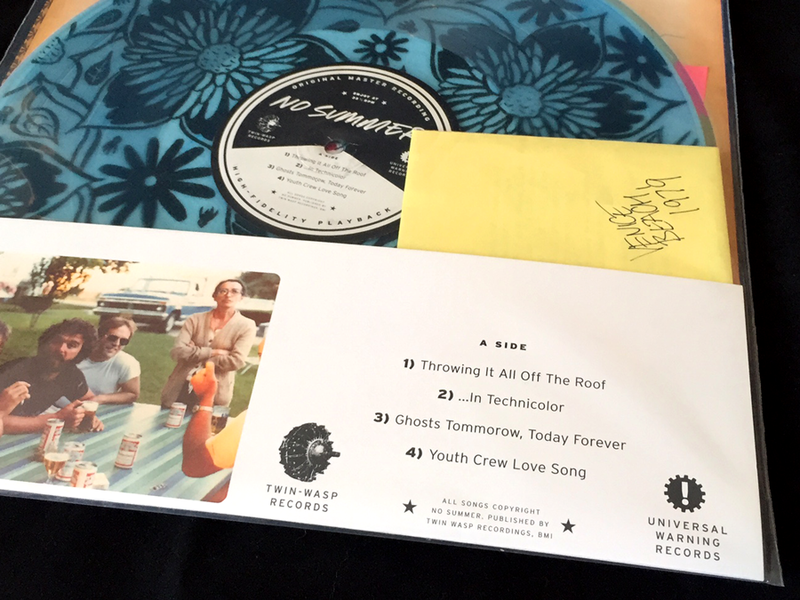 The records would come in two transparent colors - pink and blue. We used actual photographs of our parents in their youth as the content and motif for the design. The cover is a simple two-sided J-card. The lyrics and credits were presented in the form of 5 photographs - each with the lyrics from a song or the credits written on the back, tucked into a light yellow envelope with the year and location had-written on each one. 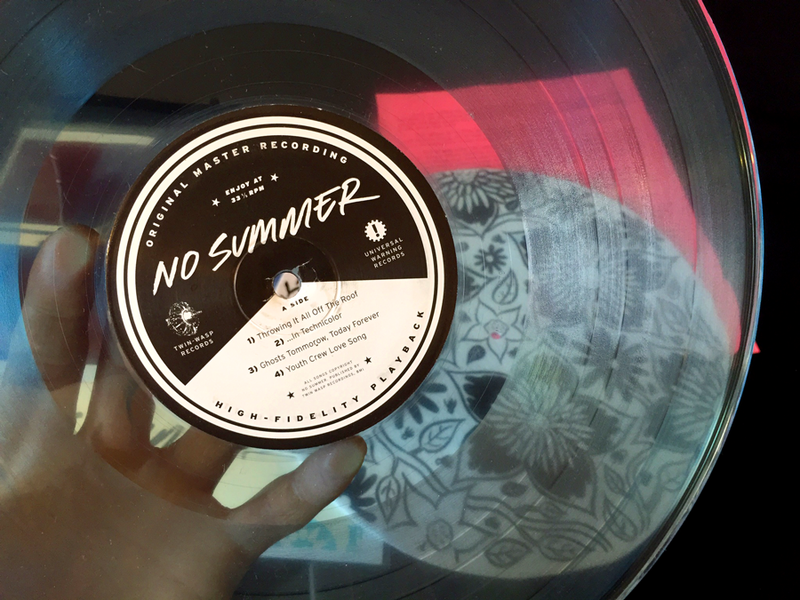 Additionally, I illustrated a custom pattern that we printed onto white slip mats and placed behind the transparent record. All of this came in a clear, resealable mylar bag.